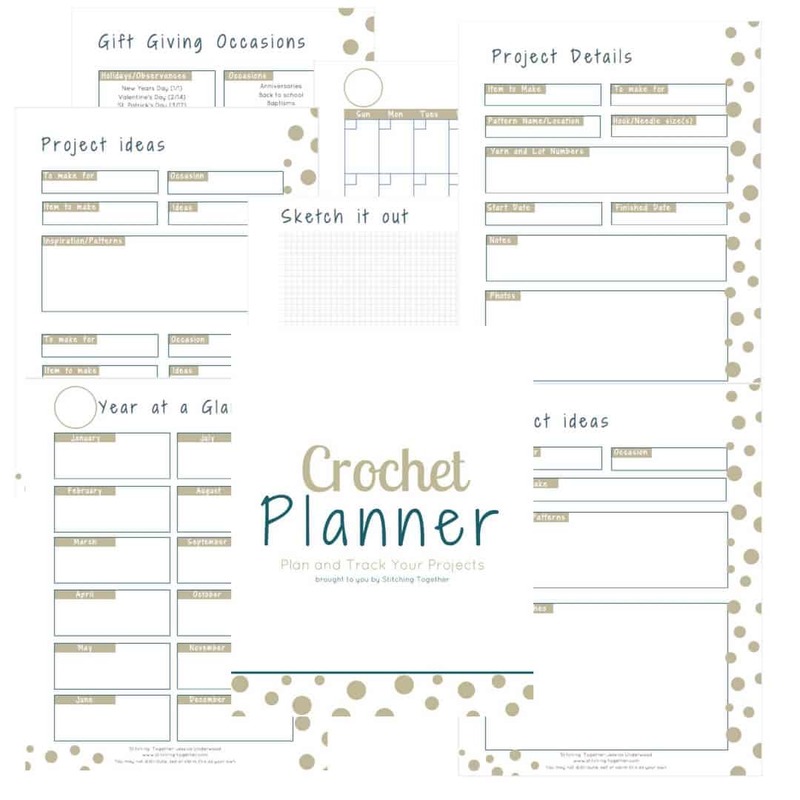 Scroll down to sign up for this free crochet planner you can use to plan and organize your crochet projects. 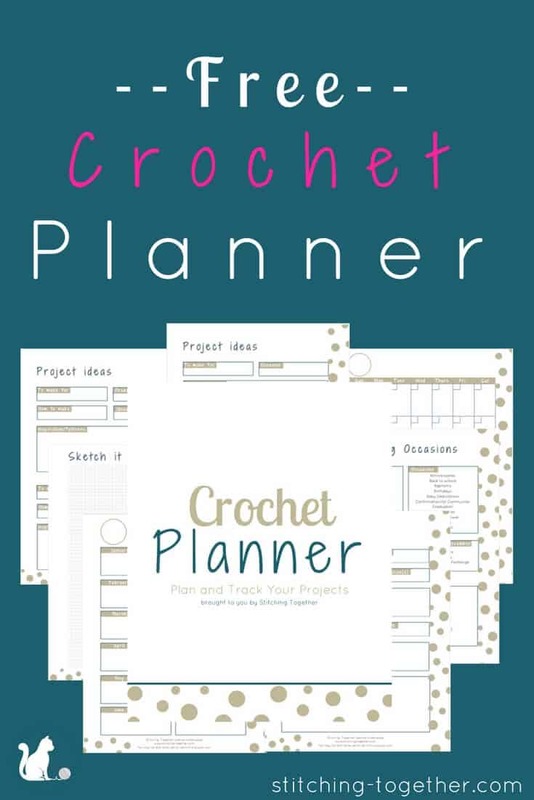 Works as a crochet project planner, crochet gift planner, and a crochet journal. Plan for life, why not for crochet? I’ve been using the Happy Planner to get my home and work life organized, but I thought that a planner dedicated to handling crochet projects would finally help me stay organized in my crochet life! Crochet Planner and Crochet Journal! The best of both worlds combined in one. Not only can you plan your crochet projects ahead of time, you can also use the journal pages to track your WIPs and completed projects. I would love to be able to look back at everything I’ve made over the last 15+ years! Unfortunately I was not that organized! The year at a glance page lets you record and view the events of the year where you will need a gift like babies (yay babies! ), weddings, graduations, birthdays… you get the point. There are two differently styled Project Idea pages – one has more space for extensive planning and there is graph paper to capture any notes or sketches. The Project journal pages can be your crochet journal – never forget which hook you were using or, Heaven forbid, where you found the pattern. Finally, there are undated monthly calendar pages so you can schedule your projects. The pdfs will print on letter size paper which you can put in a 3-ring binder or have bound at an office store. Here is to great planning!